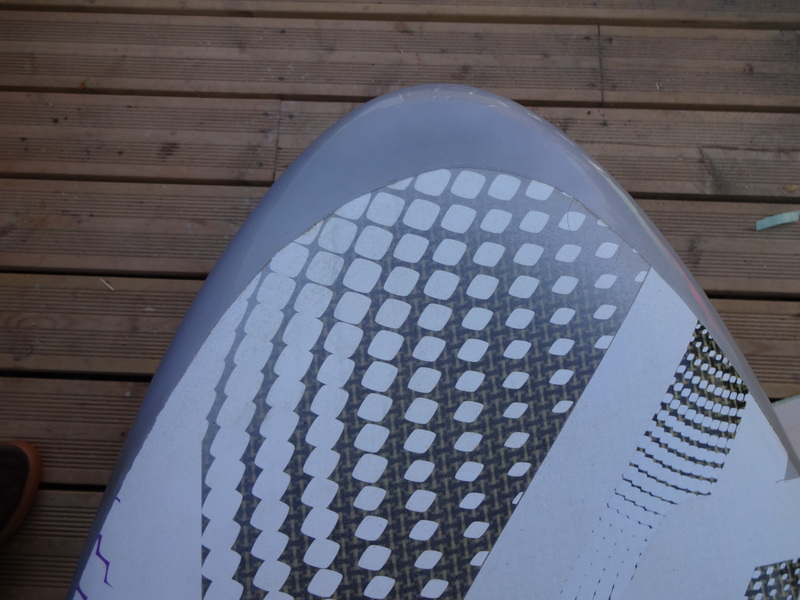 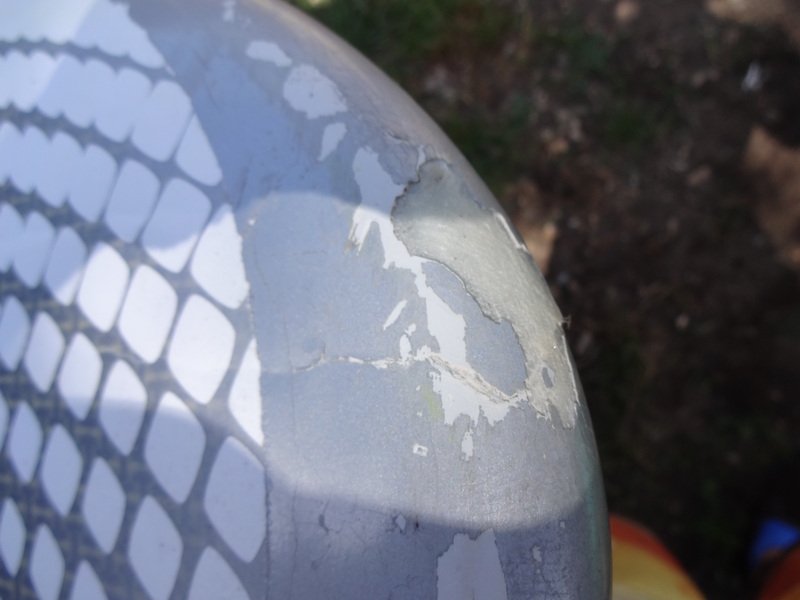 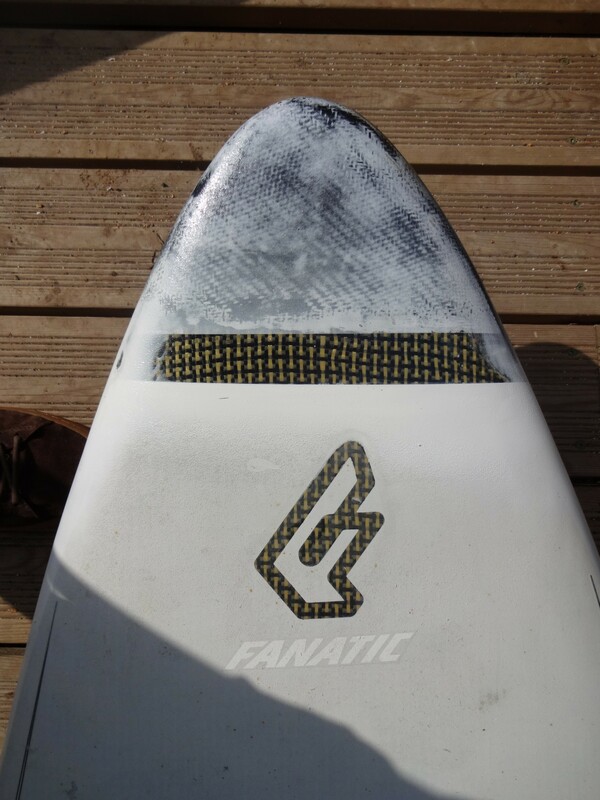 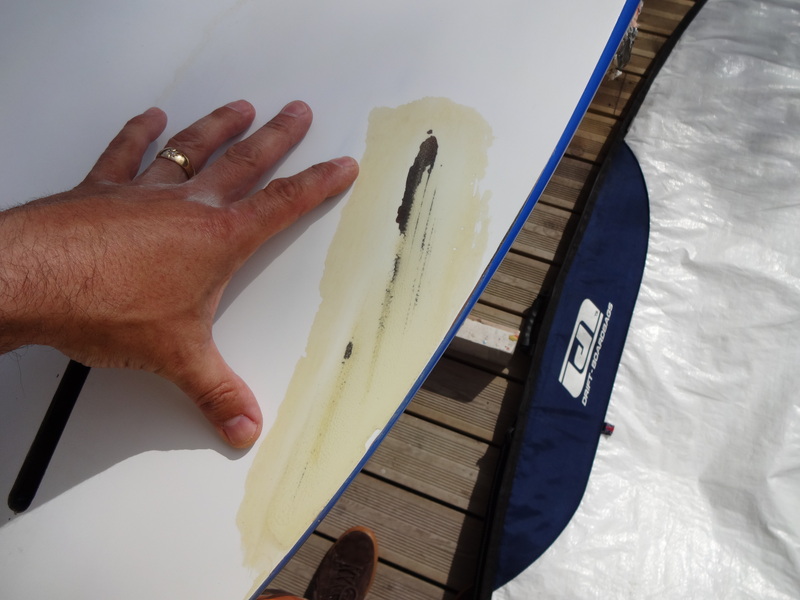 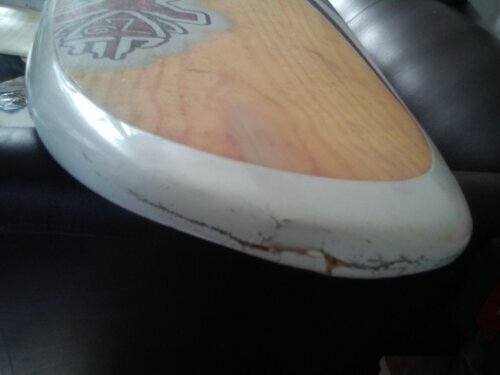 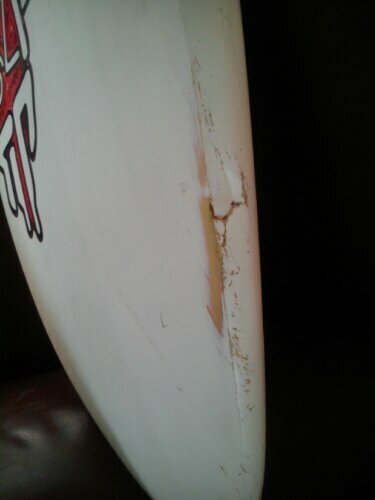 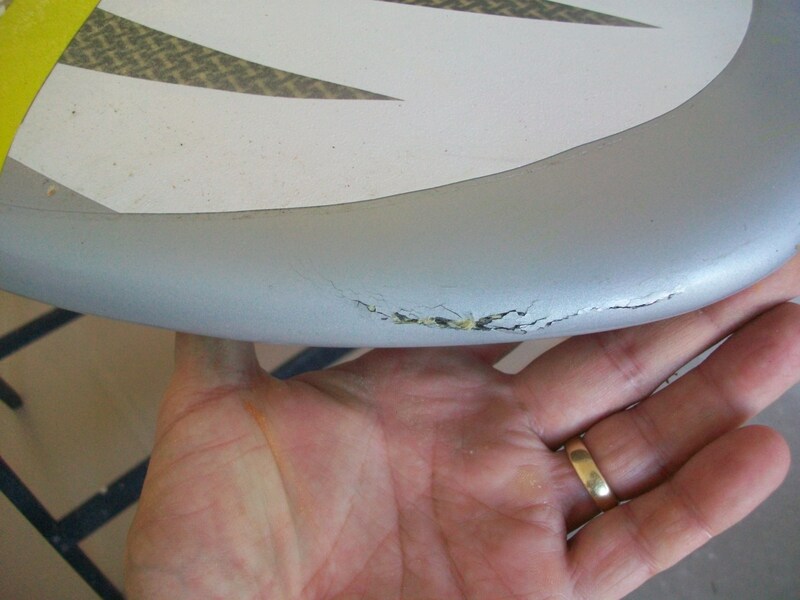 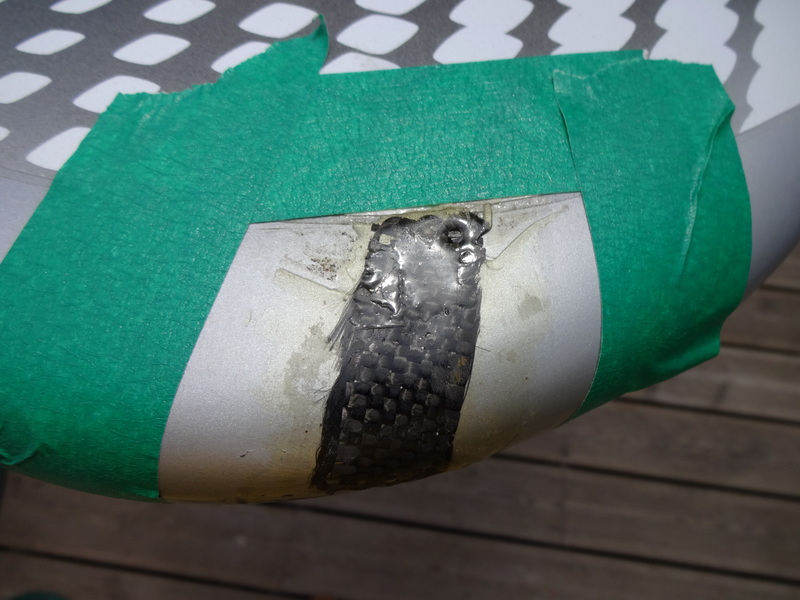 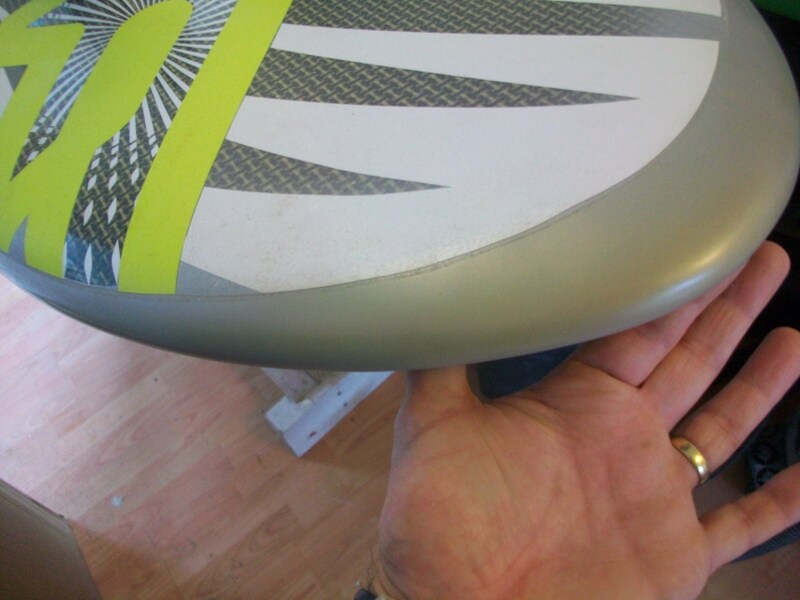 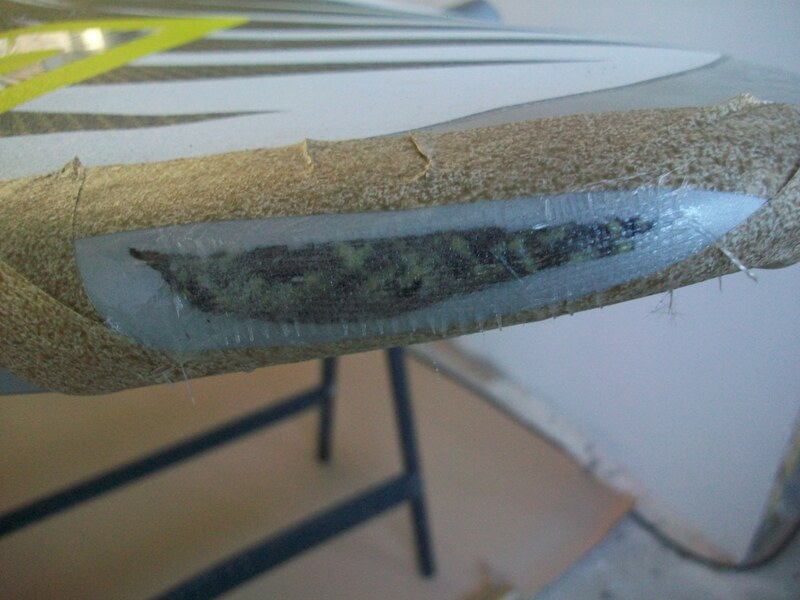 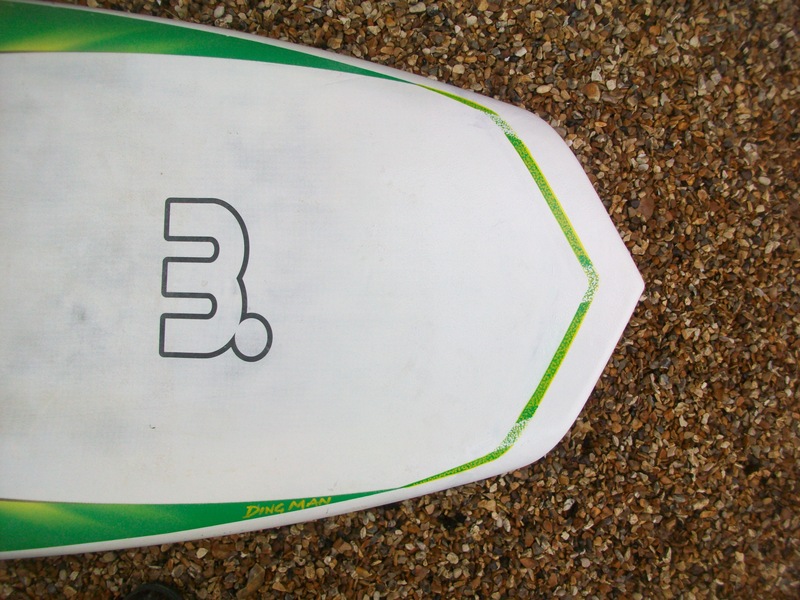 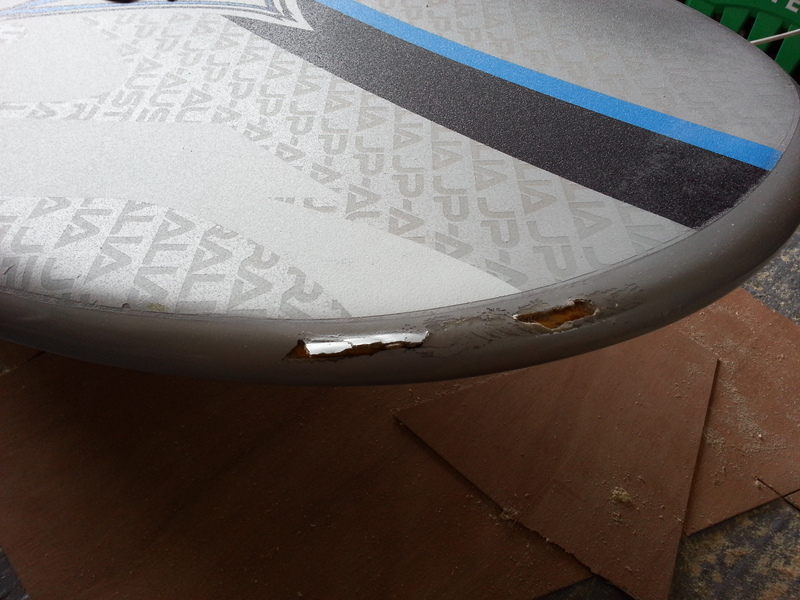 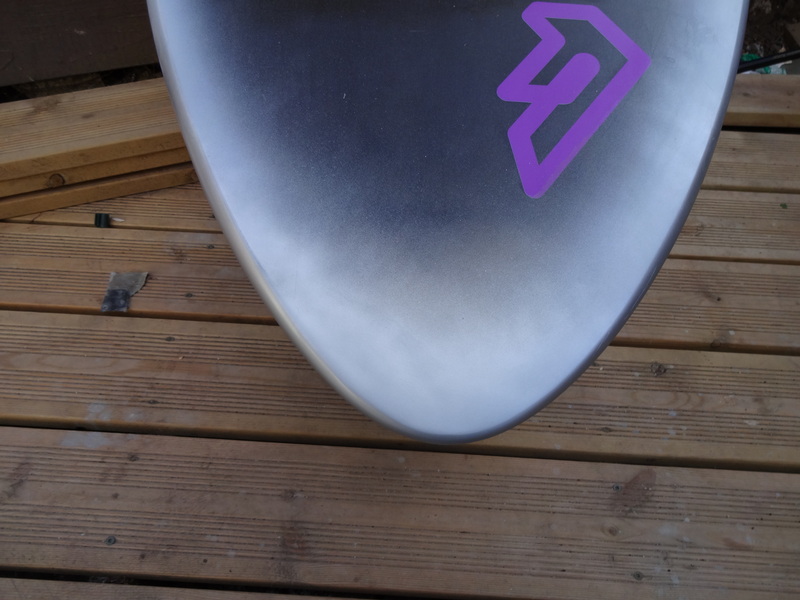 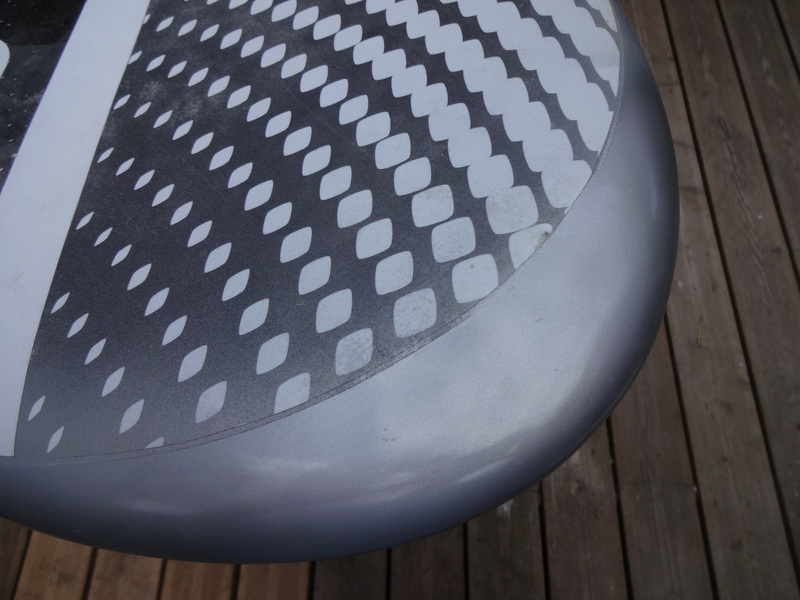 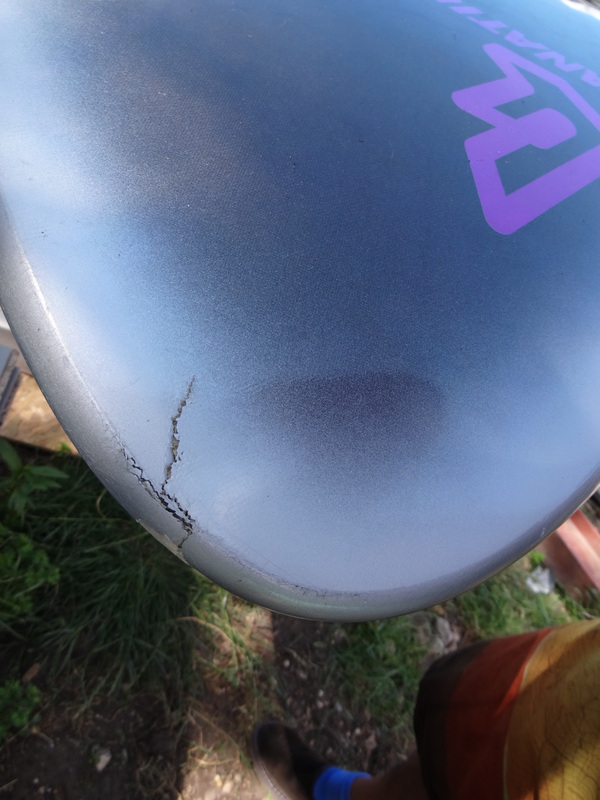 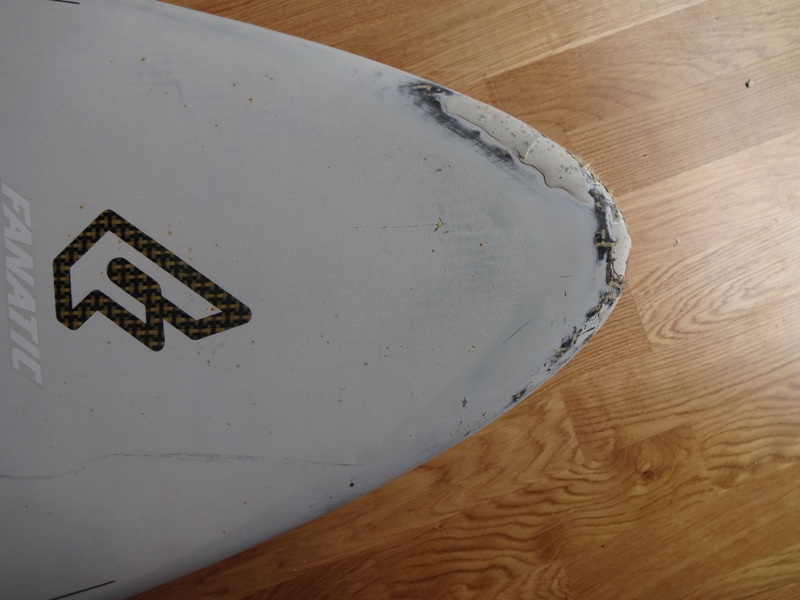 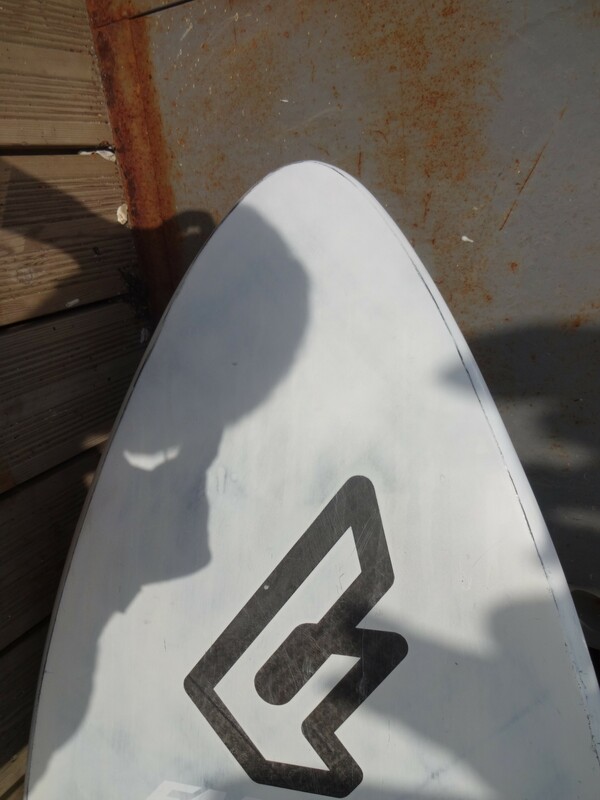 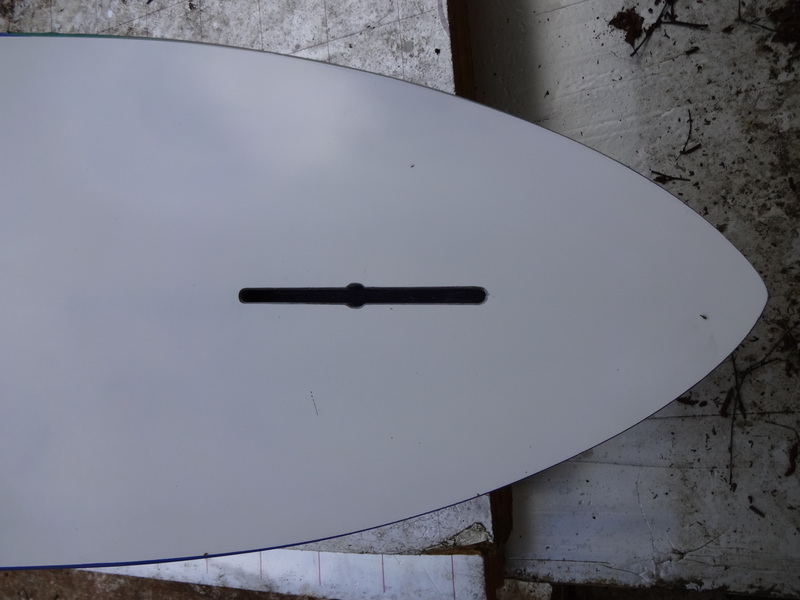 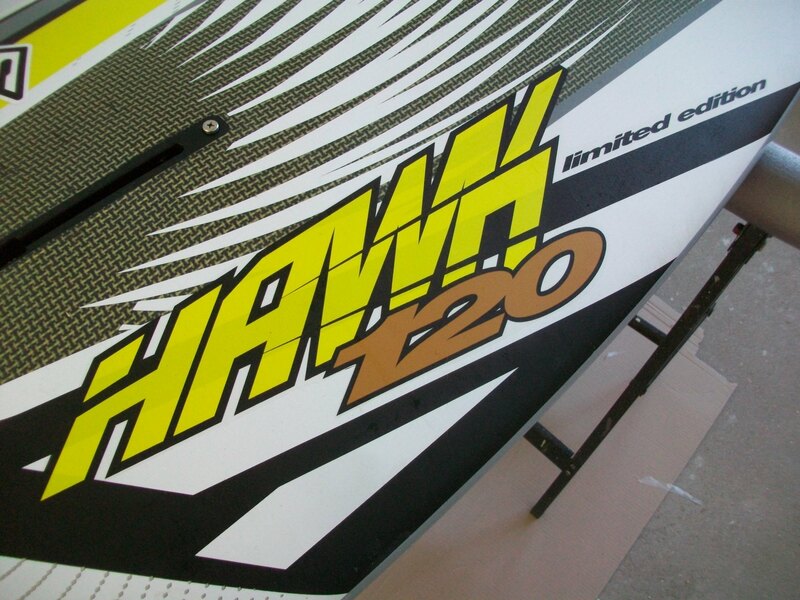 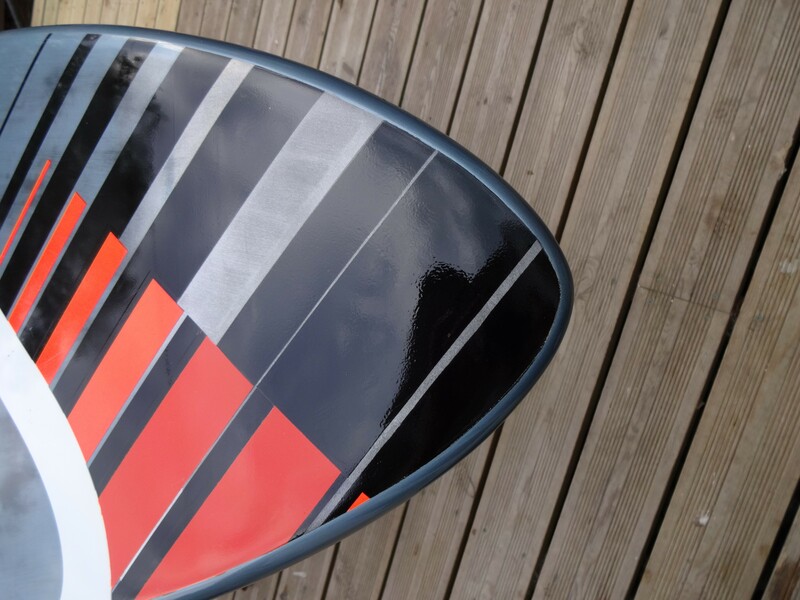 A nose job on a “wave” windsurf board. 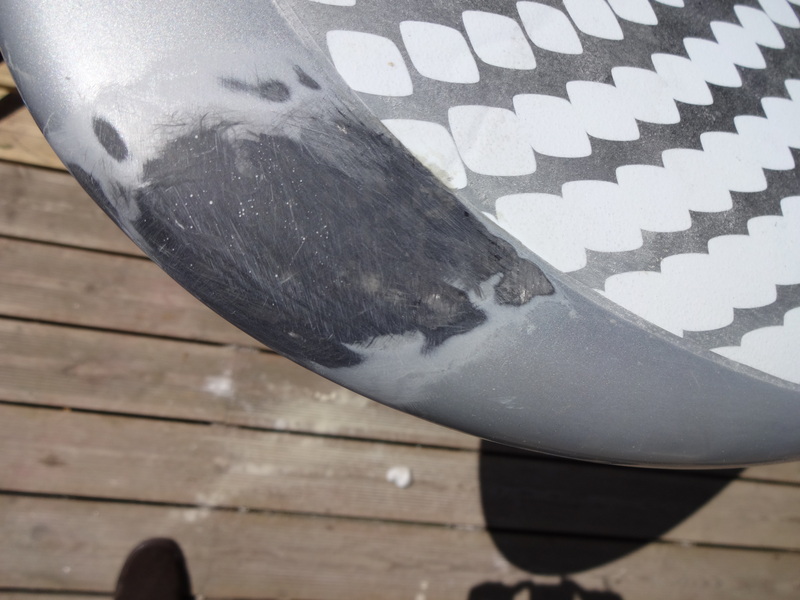 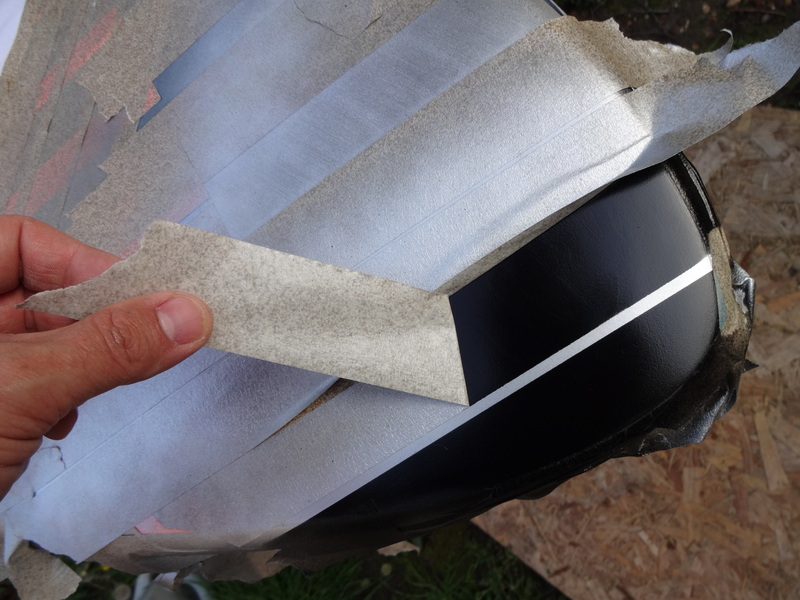 After cutting out the damage and rebuilding, the paint stage can commence. 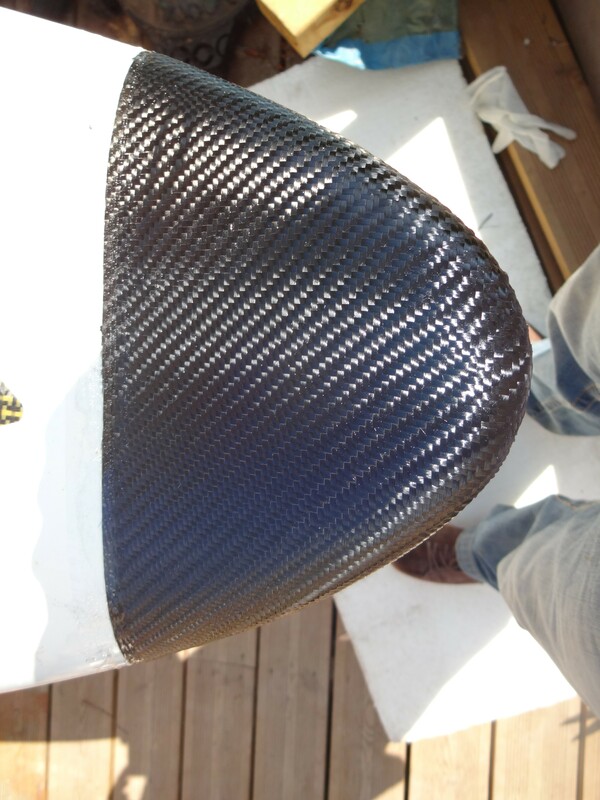 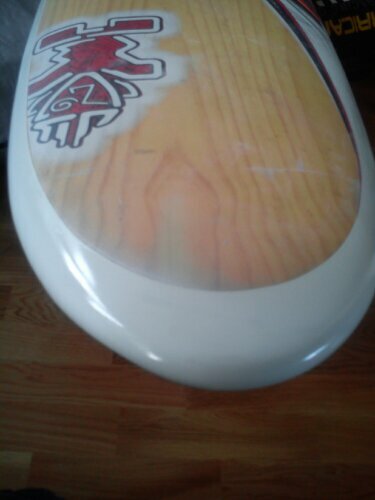 After multiple masking stages and paint colors.